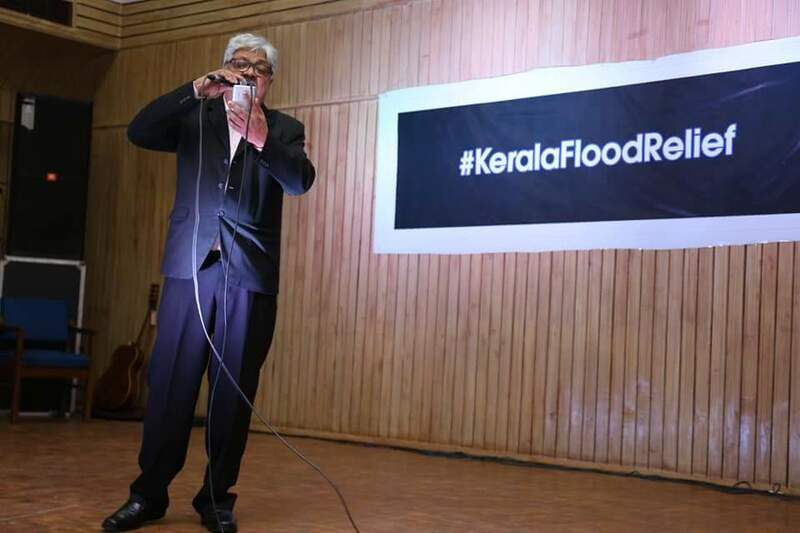 Today, Supreme Court judges Justice Kurian Joseph and Justice K M Joseph captured hearts with their song renditions at a cultural event organized by Supreme Court journalists at Delhi to raise funds for Kerala flood relief. Justice K M Joseph sang a song from a popular Malayalam movie 'Amaram'(Vikaara Naukayumayi), which dealt with life in a hamlet of fisher-folk. 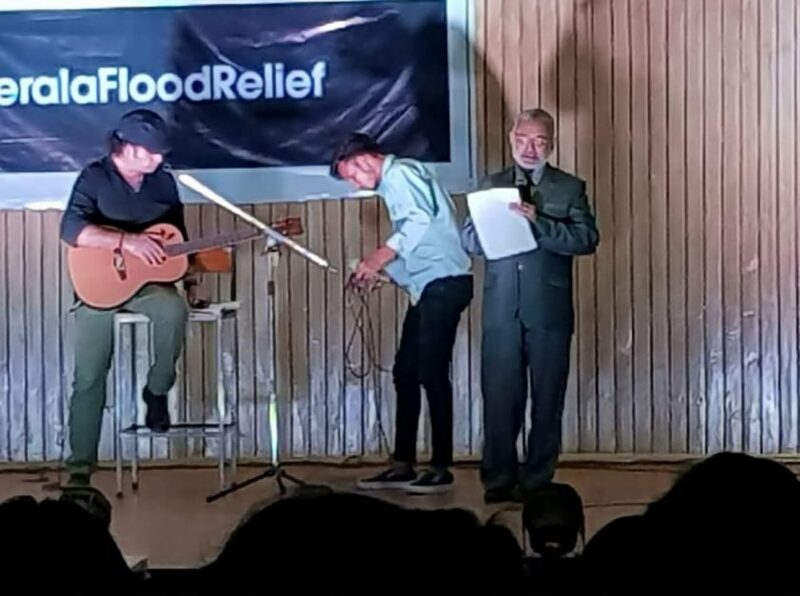 He said that the song was a tribute to hundreds of fishermen, who made heroic interventions to rescue several persons stranded in floods. Justice Joseph also sang a Hindi song, "Madhuban Khusbu Deta Hai" from "Saanjan Bina Suhagan". Justice Kurian Joseph performed along with popular Hindi playback singer Mohit Chauhan. Their song evoking resilience of human spirit- "We shall overcome"- was apt for the moment. It is for the first time that two sitting SC judges are singing at a public event. Both judges hail from the flood ravaged state. Justice Kurian Joseph's brother and sister were also affected by floods in Kalady in Ernakulam district, and had to shift to a relief camp. Chief Justice Dipak Misra was the chief guest, who inaugurated the event by lighting the lamp. The event held at Indian Society for International Law's auditorium was attended by several judges of the apex court and Delhi High Court, lawyers and media persons. The event was organized by legal correspondents Dr.B.Balagopal(Reporter), Ananthakrishnan G(Indian Express), Unnikrishnan M(News 18 Keralam), Vinaya P S(Mathrubhumi) and Bhadra Sinha(Hindustan Times). Bhadra Sinha and Gowripriya S performed Bharatanatyam at the event. There was a dance performance by Keertana Harish, daughter of Mail Today's legal reporter Harish Nair. Delhi based lawyers had organized a collection drive for relief materials for Kerala, in which Supreme Court judges actively participated. Justice Kurian Joseph, who was an active volunteer on both the occasions, commended the effort of lawyers remarking "law has become live now". All judges of the SC have contributed Rs.25,000 each for flood relief. Torrential monsoon rains caused the worst floods in Kerala in a century, claiming about 500 lives and displacing lakhs of persons from homes. The State government estimates the losses caused by the floods approximately as Rs.20,000 crores.